Upscale UK, Tech City UK’s support programme for upscaling startups now in it’s third year, launched its latest cohort included some of the UK”s hottest startups in January 2018. Any of these companies would be an ideal place for anyone to start their career in startup land while also providing a relatively low risk career move in startup terms as one of the key criteria’s for joining Upscale 3.0 is the startup must have successfully completed a series A funding round of £1 million or more. OK, these aren’t exactly a supermarket chain level of job security but a very healthier balance and it’s always great to work in a growth company during the early stages. The 37 companies that have been selected in the Upscale 3.0 program represent some of the finest early stage talent from across the UK and as a result they are growing fast and in this post we list as many open job positions at Upscale UK 3.0 companies that we can find so if you are interested in Upscale 3.0 Jobs and Cybersecurity here is the place to look! AIM Brain Exchange is a unique, world-class tech learning experience for youth ages 7-17. The Next Generation in Biometrics. We use each individual’s unique heart pattern to quickly and securely verify identity, one of the most secure and robust internal biometrics currently available. In today’s cyber threat environment, IT is no longer fit for purpose. It’s time for a change. Unique technology. Garrison SAVI® is a unique technology for secure remote browsing that can dramatically change the risk profile for enterprise cyber security. Panaseer gives CISOs the power to manage business risk effectively, by using data to continuously measure and optimize security performance. If you are interested in finding other Tech City UK Jobs in other categories please check back for when we cover the other categories or subscribe to the Rainmakrr newsletter. Thank you for reading our post about on Upscale 3.0 Jobs Cybersecurity and please check back in for future posts on jobs in other categories. 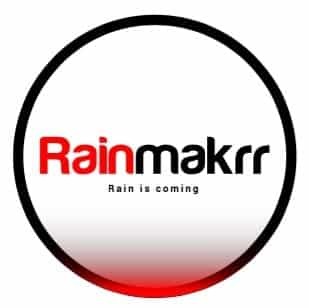 Watch Rainmakrr for more news on open Jobs as we will be doing follow up articles on other startup categories such as Big Data and AI and related jobs available. Can you apply for a Tech City UK Visa? Where can we get Tech City UK News?